spray de mode: I love this one by Bumble and Bumble because it is very versitile; you can use it to texturize your hair after it has been blow dried, or spray it onto your hair as a finishing tool to smooth fly-aways. sheer laquer: This one by Shu Uemura makes the list because of the instant shine results that it adds to the hair. 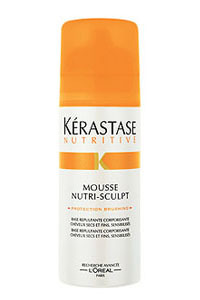 It gives the hair a strong shine while maintaining a firm hold; this one works great for polished looks and updos. 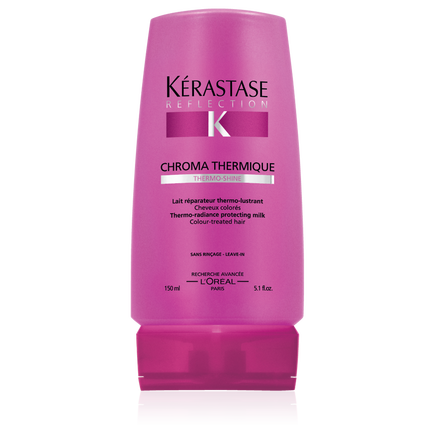 double force: This product by Kerastase is great for layering into the hair when flat ironing it, or when used to break-up curls for added dimension. It’s great because it leaves a mostly matte finish with a more subtle shine.